A new dining and meeting space at the Wellcome Trust Genome Campus south of Cambridge has just opened. Over the last 18 months we have collaborated with architects Abell Nepp on the design of a graphic interior for a space known on site as 'Shared Facilities'. 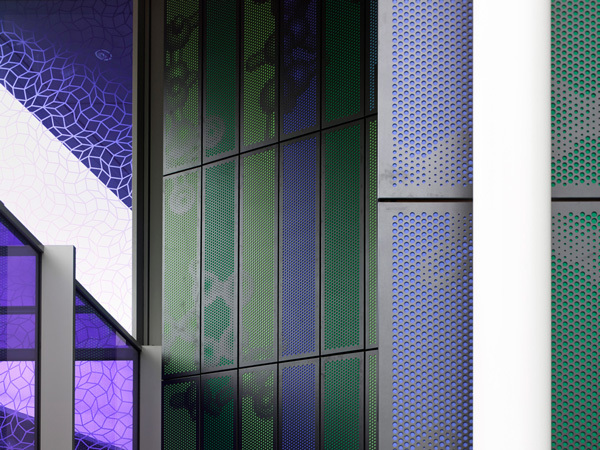 This is a building designed to encourage collaboration between campus scientists, researchers and visitors. 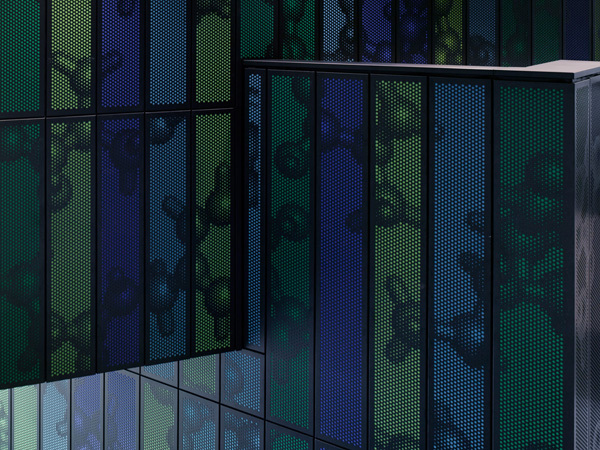 The walls are covered by dot-halftone images of chemical molecules that scientists attempt to guess the identity of. 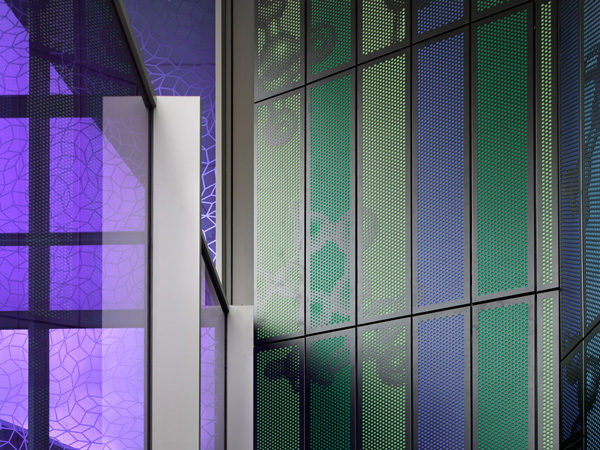 Imagery is achieved by perforating a grid of interlocking steel panels mounted over Kvadrat fabric panels for acoustic softening. 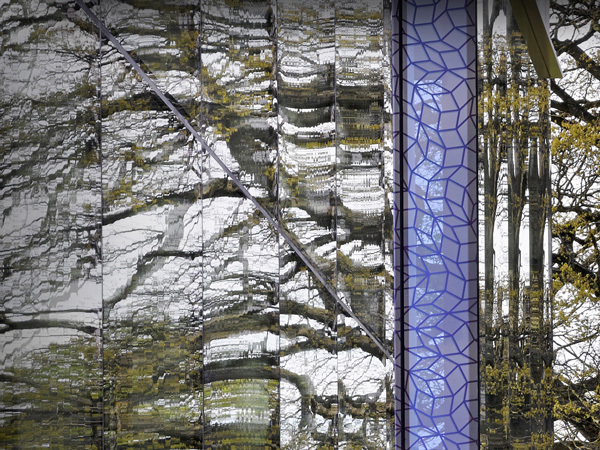 Glass panels are covered with clear film carrying a graphic pattern inspired by Penrose tiling. 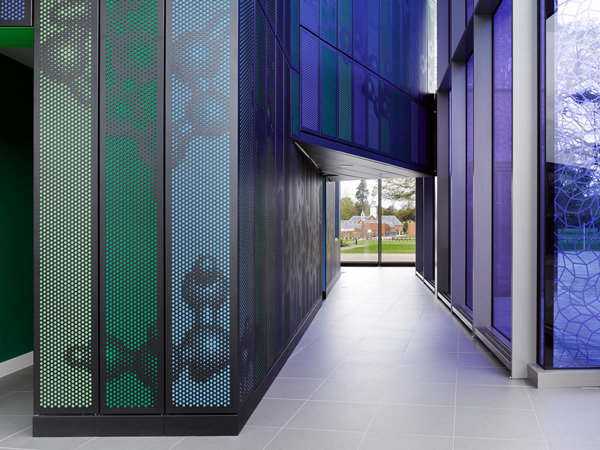 The project also includes some illuminated signage announcing arrival at the Sanger Institute, Sulston Laboratories and the Ashburner Library.